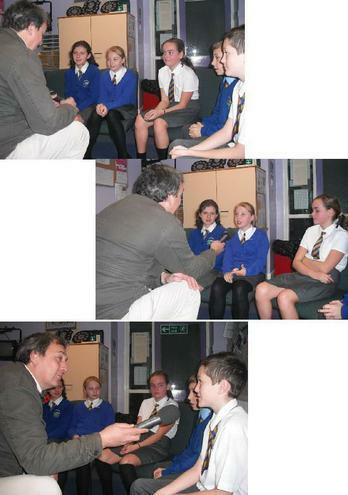 On Tuesday 8th November Will, from BBC Radio Cumbria, came into interview some of us about our work on the Olympics. He asked us what our favourite sport was and which sport we would want to compete in. He also asked us if the Olympics is more exciting now we have linked with Hinrich Romeike's school in Germany. Make sure you listen to the radio on Weds 9th November on your way to school to find out what we said when he'll also be talking to Mrs Fawcett live on air.